Borough Road is in Southwark, London SE1. It runs east-west between St George's Circus and Borough High Street. The route was created as part of the planning and road improvements associated with the completion of Westminster Bridge in 1750, to provide access to Southwark from the north-west 'West End' without having to travel through the City of London. Southwark Bridge Road crosses Borough Road north-south about halfway along. The railway to Blackfriars Station also passes overhead at the junction where there had been Borough Road Station. The campus of London South Bank University lies to the south between St George's Circus and the junction with Southwark Bridge Road. 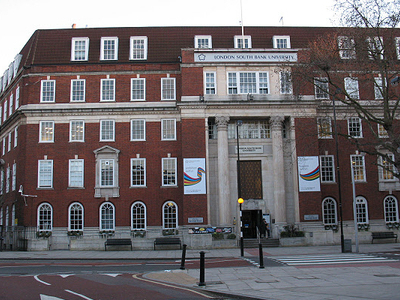 The main entrance lies on Borough Road and is also LSBU's main address. The building where this entrance is located is known as the Borough Road Building, at 103 Borough Road. The London School of Musical Theatre is based at 87 Borough Road. The Borough Road Gallery, featuring paintings by David Bomberg and th Borough Group, opened in 2012 in the main Borough Road Building of London South Bank University. 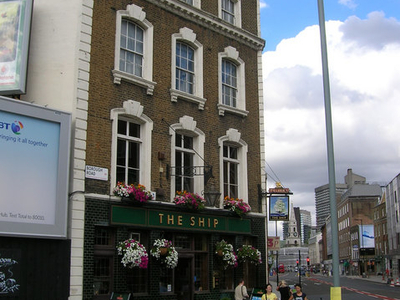 Here's the our members favorite photos of "Famous Streets near London Borough of Southwark". Upload your photo of Borough Road!